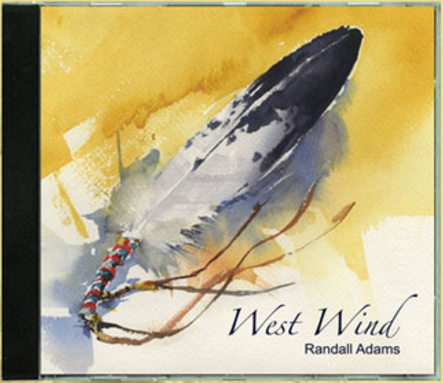 Randall Adam's debut album, West Wind is now available! West Wind is an 11-track folk album composed by Adams except for two songs; Oil in the Water and Hollow Men, written by his sister, Sandra Odom of Shreveport, LA. Joining Adams on his debut album are Peter Phippen (Fender bass), Victoria Shoemaker (classical flute, Butch Hall Native American Style Flutes, alto saxophone) Sandra Odom (ukulele & harmony vocal), Bruce Burnside (mandola), Thea Ennen, Julie DeBoer, Sue Gifford, Lee Mynett (background vocals), John LeBrun (percussion), and Ivar Lunde, Jr. (recorder). Adams has been in musical environments his entire life. He recently shared with PMR, “We are talking about lots of music and singing in my family, plus family outings to illicit dances in an abandoned school house that were forbidden by our church at the time. There was also lots of music in school band, choir, and church. I developed a taste and appreciation for classical music early on. The pipe organ blows me away! Enter the First Big Folk Music Scare of the 60's, plus The Beatles, Stones, CSNY, and many others. I draw from all of them, both to perform and to write. I am truly all over the map musically."